Maine Mendoza is now officially a part of Universal Records Philippines. As reported on Rappler, the Dubsmash Queen recently appeared alongside manager Rams David at the official contract signing event, where it was revealed that the label will be producing her first album. 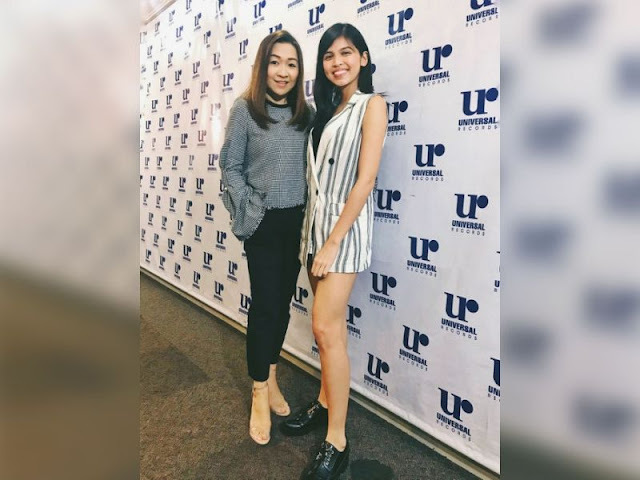 "We're very happy to welcome Maine into the Universal Records family, and very excited to be working with her for her upcoming projects," said Kathleen Dy-Go, the General Manager of Universal Records. Mendoza's cooperation with Universal Records were announced last month, when the label finally unveiled the mystery woman seen on their social media accounts earlier this year. On the other hand, musician Ito Rapadas also revealed that they are working together on her album.